A recently concluded academic meet called ‘The Indus-Sarasvatī (Harappan) Civilisation vis-a-vis The Ṛigveda’ focused on archaeological discoveries that point towards an indigenous Indus Valley civilisation. Archaeology which is as much fact-based and fact-yielding subject as other sciences like astronomy, meteorology, etc, was taken as a frontier to indicate that the ‘Aryan invasion theory’ should be discarded. The meet, organised by the Draupadi Dream Trust, under the aegis of Ministry of Culture, ICCR and SAIL from March 26 - 28 at the India International Centre saw the presence of 25 eminent academics from the best international universities, like Cambridge and Brussels, who presented their theories for the same. “Accepting that every study has its limitations, we should take only the positive aspects of each. Truth in all fields has to be accepted. Dynamism should exist,” said ICHR chairman Y. S. Rao.The Rig Veda being an integral part of the seminar, historians and linguists suggested theories from various transcripts from the ancient sacred text. Recent linguistic studies of the Rig Veda that show that the period is assignable to the 3rd - 4th millennia BCE, if not earlier, duly supported by the evidence of field archaeology, hydrology and radiocarbon dating, were discussed. The academics with their researches were able to nullify the misplaced belief that the Rigvedic people were nomads. Fresh studies were included in the seminar that suggested that these people had regular settlements, sometimes even fortified, carried on trade by land and sea routes, and also had a governance, a regular hierarchy of rulers, including a Samrata (emperor), rajas (kings), rajakas (kinglings). 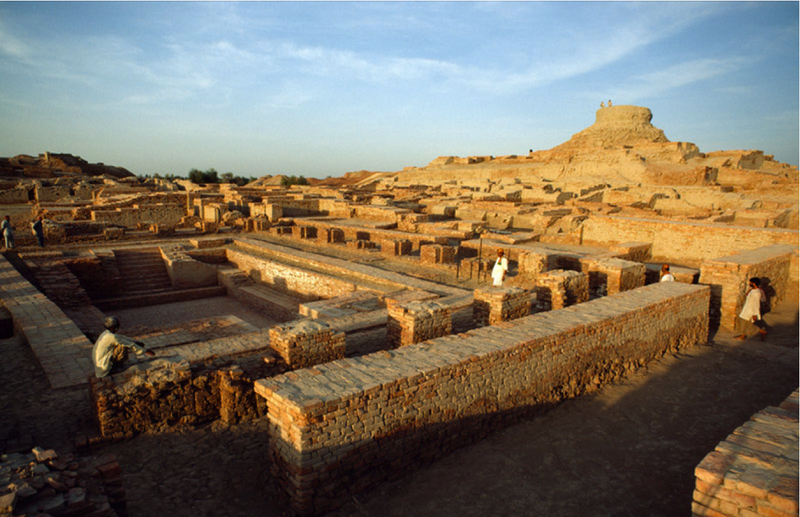 The archaeological data presented negated invasion at any Harappan site, and claimed to put across the so called ‘massacre’ at Mohenjo-daro as ‘a myth’. Kooenard Elst, a German linguist from Brussels University told Metrolife, “The theory that Aryans were a different race is long discarded in the 19th century. In the west people don’t care if civilisation began here or not. But the geographical scene suggests that there could not be an uphill climb towards Indian subcontinent in that era. It is more presumable to think that people from here migrated outside (downhill).” He said, “A cow was found in Russia which had Indian cow genes. Now how does such a scenario occur? A man can migrate anywhere, but a cow can only be taken there,” he added. “Invasion theory is only an Indian theory, which came to be for political reasons,” he added. K. N. Dixit, chairman, Indian Archaeological Society whose talk was on ‘The evolution of civilisation in the Sarasvati basin’, told Metrolife, “Earlier more sites of the Harappan civilisation were discovered in Pakistan region, but now there are over 600 sites (which is more than the sites discovered in Pakistan) recognised in India, which show that the civilisation did take place near Sarasvati which flowed from here,” he said. “To create awareness and disseminate knowledge about the textual researches and archaeological discoveries, both at international and national level, and to draw government’s attention for their incorporation in the textbooks, we held an international seminar on the subject,” said Neera Misra of Draupadi Trust.